Pakistan Railways started the Karachi Circular Railway in 1969. 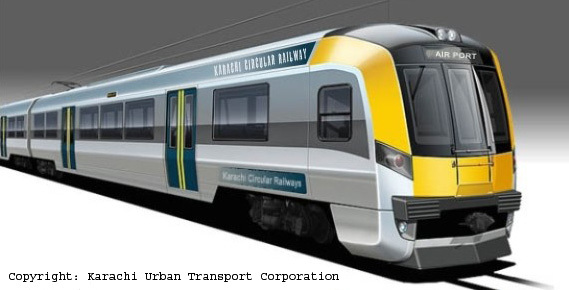 The aim was to provide better transportation facilities to the people of Karachi. 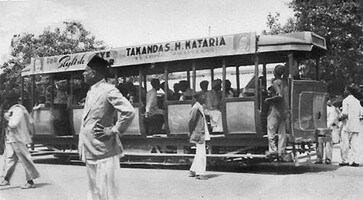 People of Karachi liked it very much and thousands of them traveled daily. KCR earned half a million rupees in the first year alone and revenue continued to increased daily. In seventies when KCR was in peak 104 trains were run daily, of which 90 trains on main track and 14 trains ran on loop line. The transport mafia did not like it and tried to make KCR a failure. The transport mafia contracted the KCR staff and made payments to fail KCR. The staff became lazy and corrupt and trains did not run on time. Ticket less travel became rampant as tickets were not checked. At last KCR trains got discontinued to a minuscule number in 1994 after incurring huge losses. After 1994 only one train ran on loop line and in 1999 KCR operations were completely discontinued. 4. Stations were far from the roads. At present, KCR track (Loop line) is in bad condition. Rails and Sleepers have damaged. Signaling and Communication system is also out-dated and out of order. KCR stations and land are encroached upon by land mafia and criminals. Only two trains now run from Wazir Mansion station to Landhi Jn and Malir Cantt. Due to transport problems and public pressure, Federal Government decided to revive KCR. Plans have been in the offing for the revival KCR since 1999 including a Master Plan made in 2003.